Plums, purples, violets…I love them all. They’re gorgeous, they’re more wearable in a smoky eye than black, and they make my green eyes pop. They’re also amazing in the fall as everyone trades soft bronzes and corals for rich berries and reds. So today, to celebrate the fact that the leaves are turning and I can finally order the pumpkin spice latte, I thought I’d dig into my archives and give you the low-down on some of my all-time favourite eye looks featuring plum (one of the CBB’s recently featured shades). 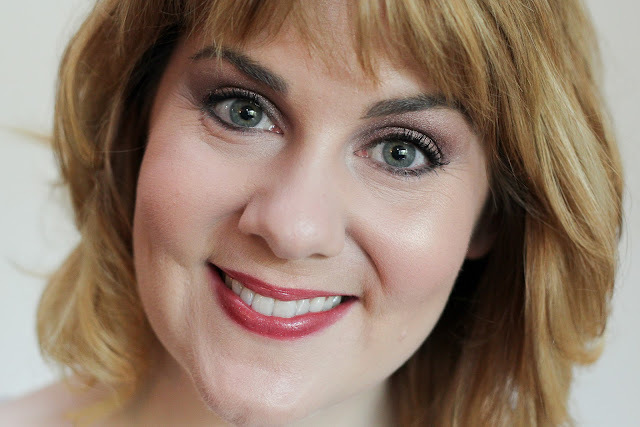 I hope they give you some ideas as you design and discover new makeup looks this season! 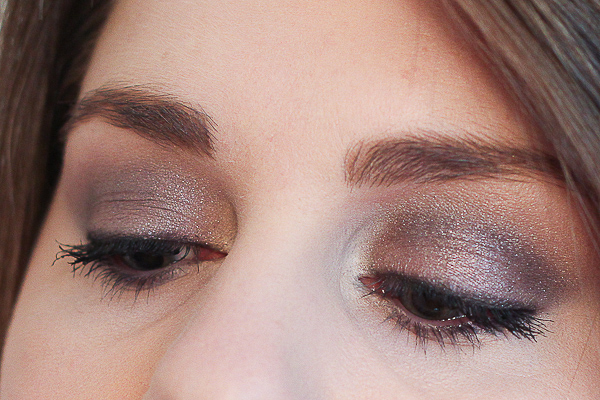 The great thing about this look—besides the complexity of that plum colour!—is the fact that I used one eyeshadow. 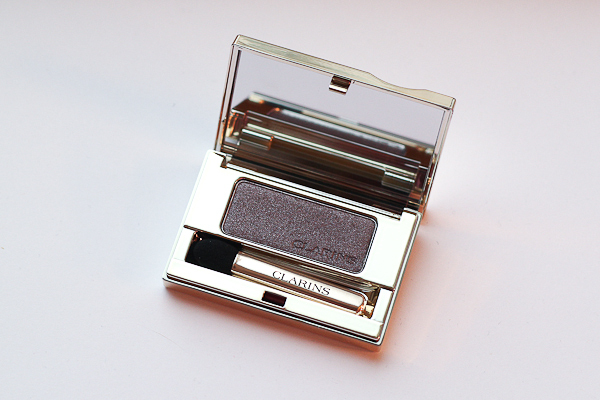 Clarins eyeshadows work either wet or dry, so I used this shade wet in the crease for more depth, and dry on the lid for a softer look. Give it a try. A key trick for wearing purple or plum is remembering contrast. 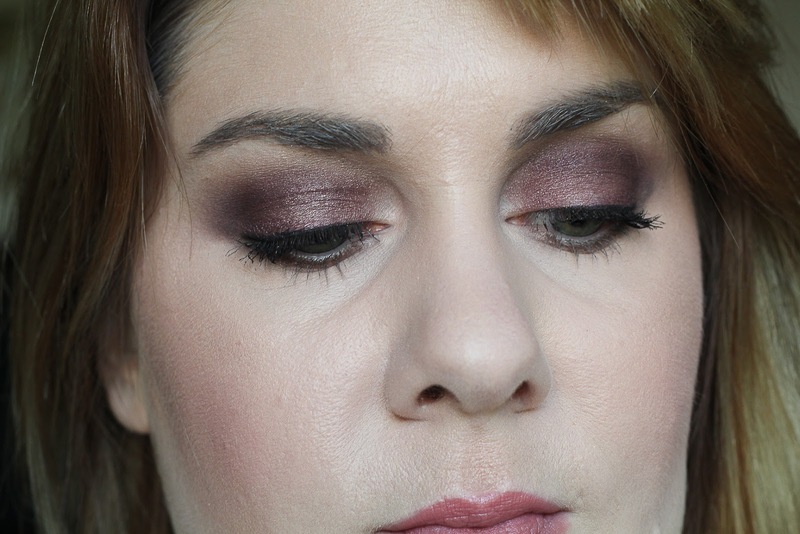 The difference between a look like this and looking like you’ve been punched in the face is using a warm brown shade as a sort of “divider” between the purple and the rest of your eye. Another thing that makes this look work is the intensity. I began with Maybelline Colour Tattoo in Pomegranate Punk and layered MAC Brazenly over top for some extra punch. Be still, my heart. I love everything from the Charlotte Tillbury line, but the Vintage Vamp Palette is, hands-down, my favourite item. The shades are buttery-soft and stunningly beautiful, but I think what really makes this look rock is how well-selected these shades are. The prime shade is basic and beautiful, and the smoke and enhance shades are similar enough to integrate seamlessly but different enough to be interesting. The surprise is the glittery gold shade—so different from the others in the palette. But the contrast is simply amazing. Do you have some incredible eye looks that you go back to again and again? What do you think makes them so fabulous? Ahhh I love all the looks Amy created here! They make me want to dig out all my plum and purple shadows and start playing. Thanks Amy!